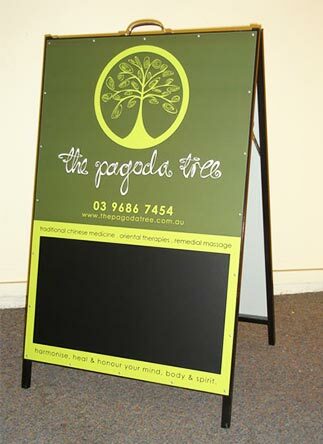 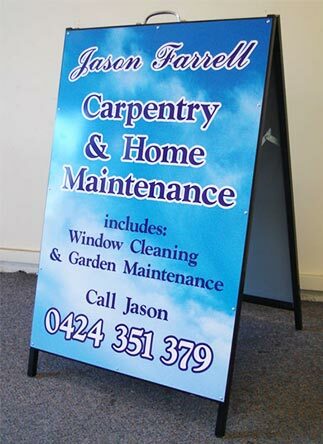 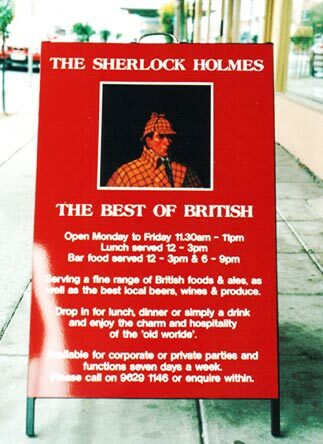 Durable, versatile, and portable depending on the requirements of the business A Frames (also known as sandwich boards) can be positioned outside of shopfronts or on footpaths ensuring that pedestrians are exposed to the message displayed on the A Frame. 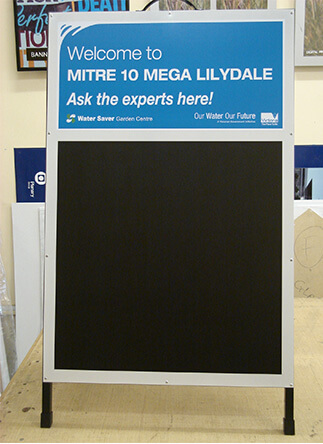 Using sharp and clear printing methods Signs Here can design and print A Frame signage for our Melbourne-based customers. 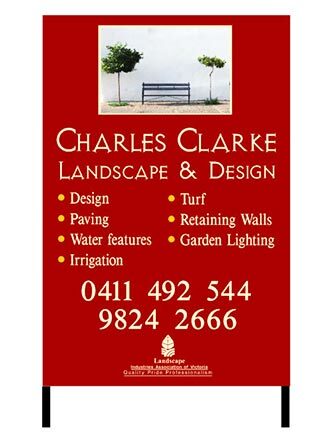 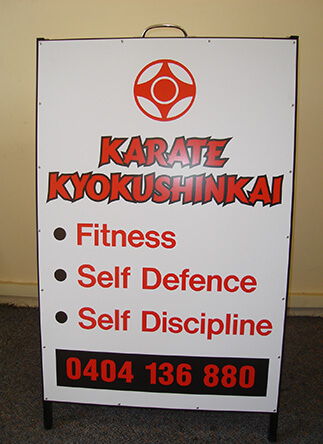 To consult with our skilful and passionate signwriters call us on 03 9558 6640 today.